Junior Clara Gross, who has played high school volleyball for the last three years, first learned about crew a year or so ago from her brother, who had begun rowing as a freshman at Loyola Marymount University. Through his words of enthusiasm and encouragement, she was inspired to start rowing and even to get a coach. She is 6-feet tall and has a wingspan of 74 inches — dimensions that are highly desirable for successful female rowers. It also helps that Gross is naturally athletic. She plans on joining a rowing club over the summer and attending a college rowing camp. Gross has a rowing machine — called an erg, or more specifically a Concept2 erg — in her home. The machine has a sliding seat and an oar that connects to an adjustable resistance wheel to simulate rowing in water. “I did not plan on playing volleyball in college, but now that I have started rowing, I would like to row in college,” said Gross. Following her first session on the erg, she covered a simulated distance of 500 meters and her time was 1:44.9. 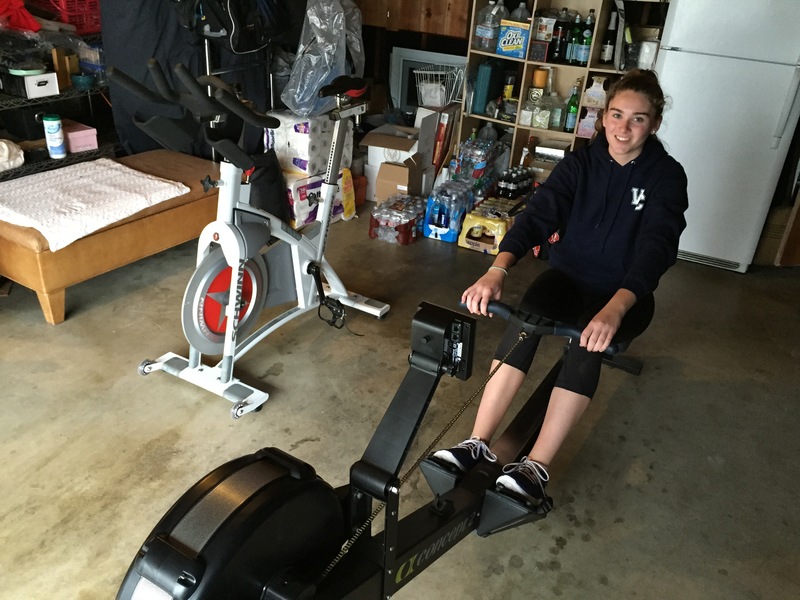 After her time was posted on a rowing website, she was thrilled when she was contacted by several colleges. Her new-found sport has not totally replaced Gross’s passion for volleyball. “I have made the difficult decision to quit club volleyball, but I still plan to play high school volleyball next year,” she said. Join the HS Insider Newsletter! High School Insider enables students to post their stories on LATimes.com and report on issues that matter to them and their communities. Through HS Insider, students are provided the opportunity to join a network of more than 300 schools, attend conferences, apply for internships and reach thousands with their reporting. Interested in getting involved? Send an email to Molly.Heber@latimes.com.